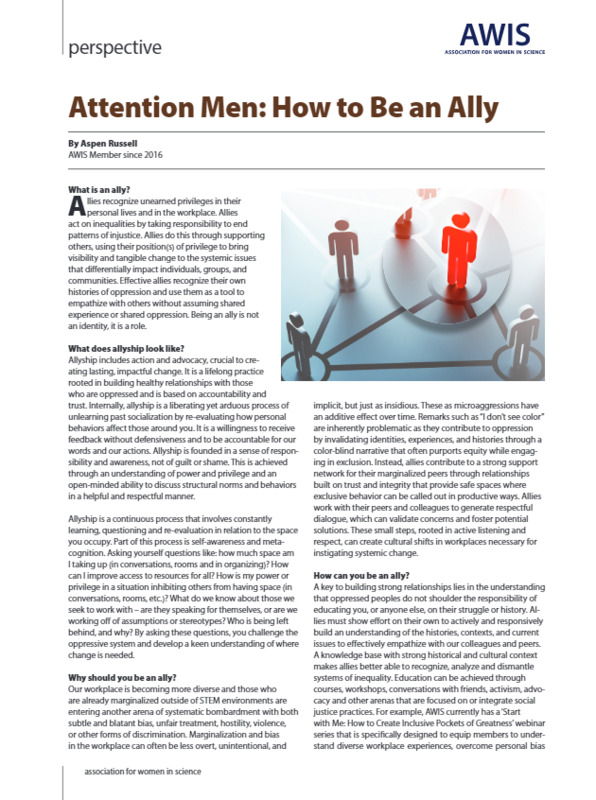 An ally recognizes unearned privileges in their personal lives and in the workplace and acts on inequalities by taking responsibility to end patterns of injustice. Supporting others means using privilege to bring visibility and tangible change to the systemic issues that differentially impact individuals, groups, and communities. An effective ally recognizes their own histories of oppression and use them as a tool to empathize with others without assuming shared experience or shared oppression. Being an ally is not an identity, it is a role.